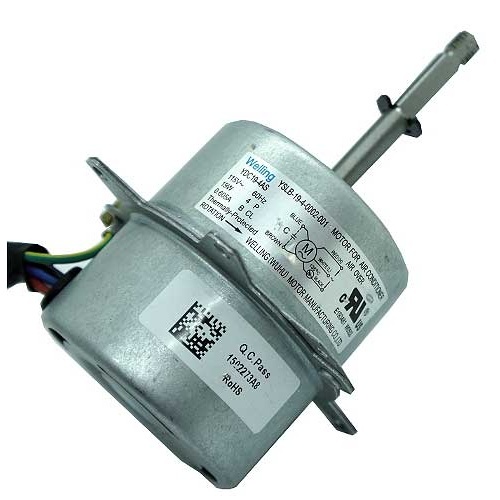 Our Technical Identification Division (CJ) says this is most likely a take-out timer motor from a washing machine. "Probably." Measures just under 2" dia x just under 1" thick, not counting little wings with 5/32" mounting holes and a 10-tooth 5/32" gear. 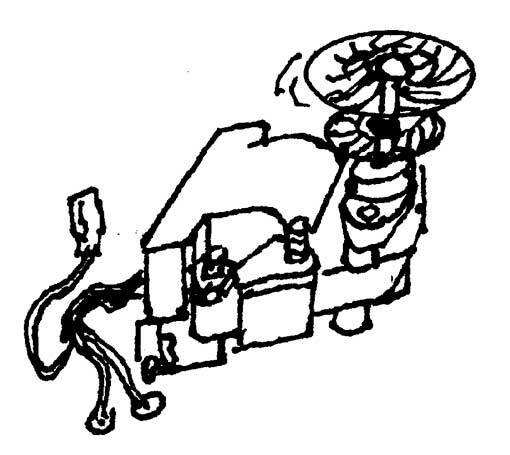 Draws 3W at 115VAC (it has leads but you supply the cord) and spins appx. 8.5RPM. Intermittent duty. 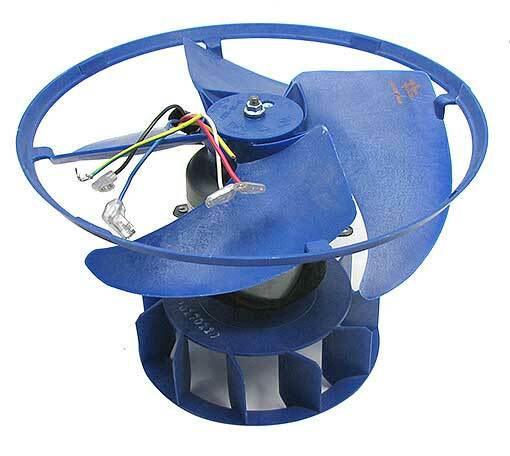 This one is a 115VAC, 3100 rpm, 12 watt take-out motor with one or two clear plastic, slotted fan-like blades that will spin in no particular direction. Has a 5/16” flattened shaft, and includes color-coded leads approx 12” long. 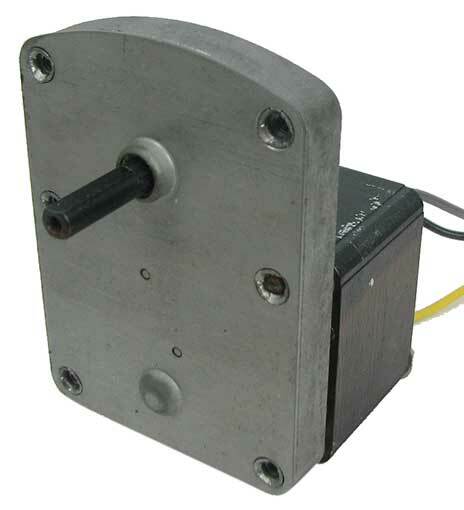 The motor itself measures approx 2” x 3” x 2-1/2”. UL. 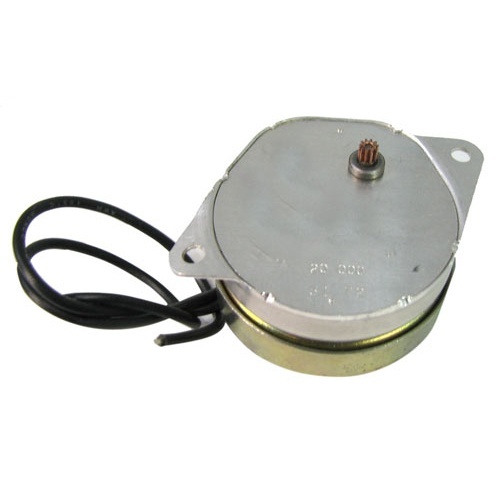 Because it’s a new take-out fan motor from Welling Service Co., made for air conditioner-humidifiers. Rated for 115VAC, 16W, spins approx 1400 rpm via a 2-1/2” x 5/16” threaded shaft which will most likely have a nut on the end. Has 12” long leads, (2) of which are for a 6uF capacitor (not included). Rotates counter-clockwise and measures 2-5/8" dia x 2-7/16" deep. Has (4) mounting holes on wings. Welling part #YSLB-16-002-001. 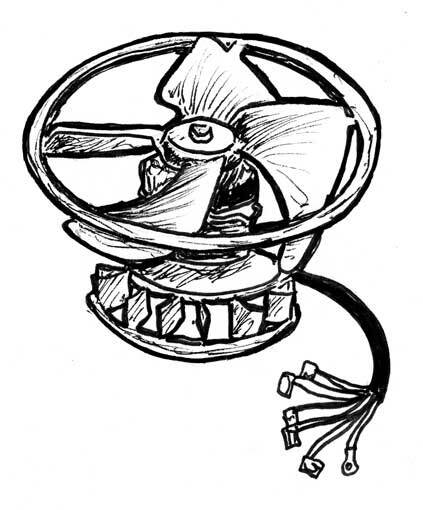 This takeout fan from an un-used AC unit draws 42W at 115VAC and spins both a 12” dia, 5-blade fan blade and a 7-1/2” x 2-3/8” squirrel cage at approx 900 rpm. 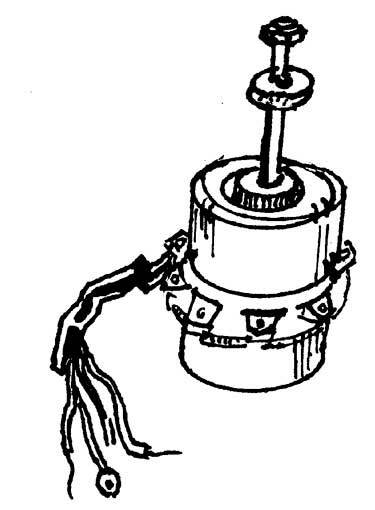 The motor in the middle measures 3-3/4” dia x 3-1/2” with a 5/16” shaft that extends 2-1/2” out of one side and 2-1/8” out of the other. 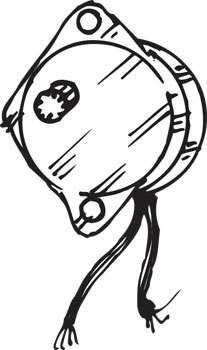 Has 14” leads and rotates clockwise. 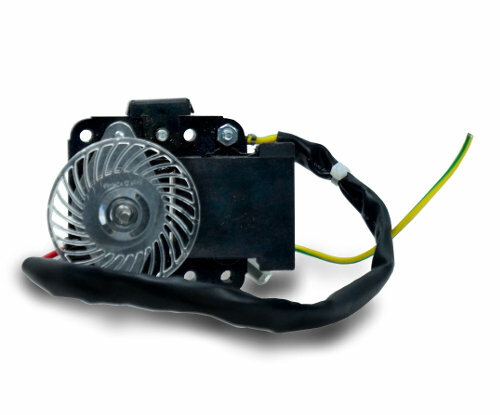 You’ll need a 250V 6uF start capacitor. UL. 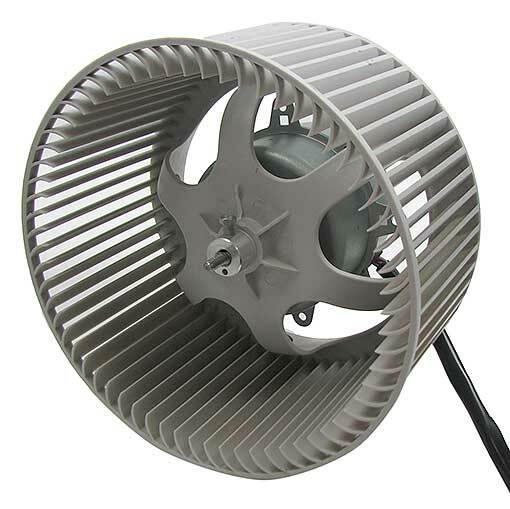 This approx 15” long squirrel cage blower assembly operates at 115VAC, draws 20 watts and rotates at a gutsy 1500 rpm. Requires a 3uF start capacitor (not included). 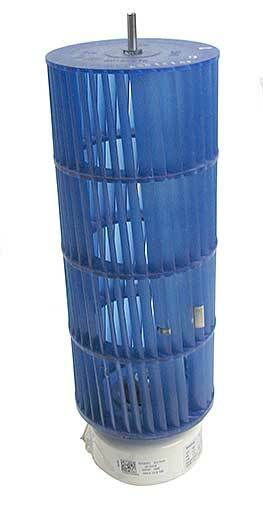 Squirrel cage is 10-5/8" long x 4-3/8" with a 3-5/8” x 4-3/8” motor. 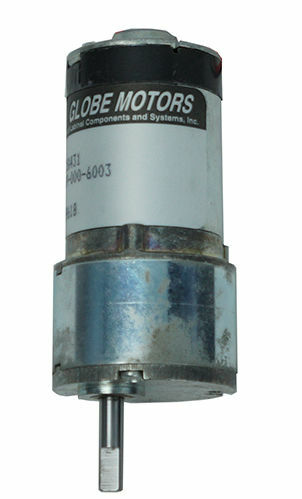 Has a 1/4" x 1" shaft, and rotates counterclockwise. UL. How Big Is Your Squirrel? 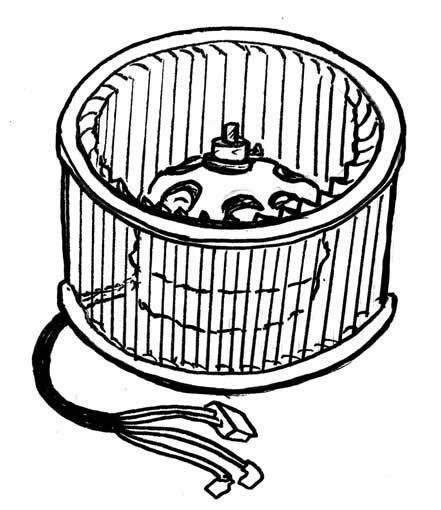 This air-conditioner takeout blower motor assembly has a giant 8-3/4” dia x 4-1/2” squirrel-cage fan slipped onto a 5/16” x 2-1/16” flattened shaft. 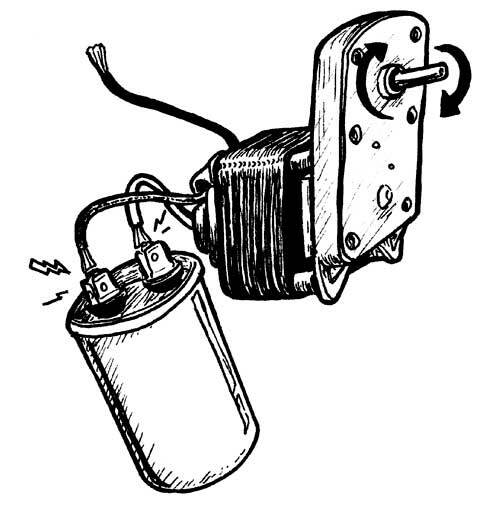 Motor draws 55W at 115VAC, and spins approx 1800 rpm. Measures 3" x 3-3/4" dia with (4) 3/4” mounting wings and 22” leads. Counterclockwise rotation. You’ll need a 4uF start capacitor. UL.